~ Coat rim of an empty coffee mug with cinnamon and sugar. ~ Add hot coffee and liqueur. 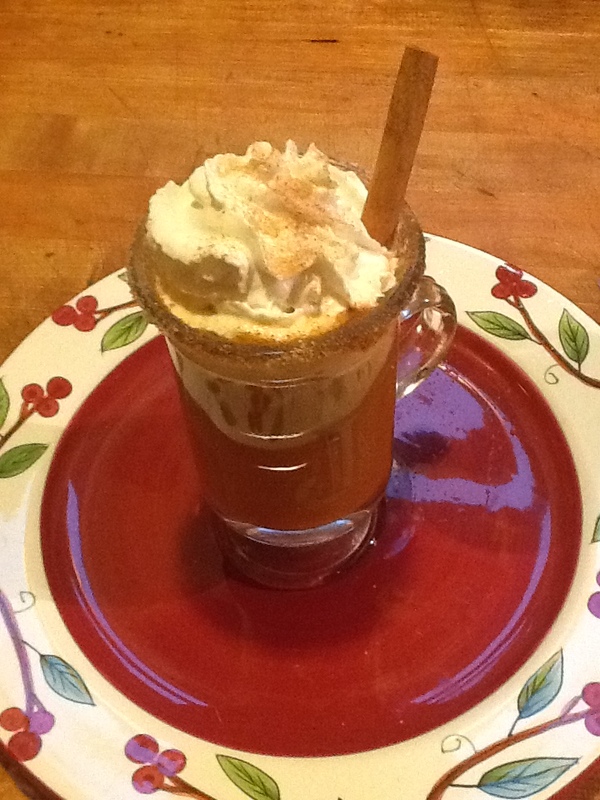 ~ Top with whipped cream and a cinnamon stick stirrer.